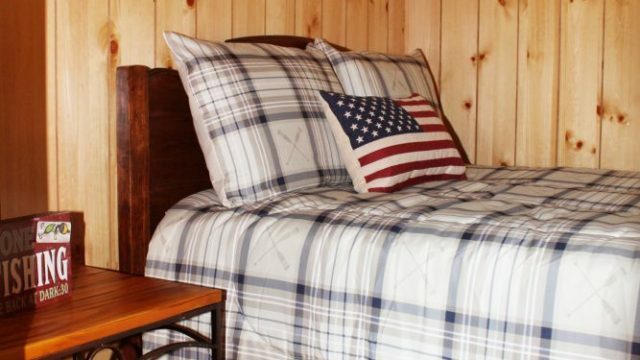 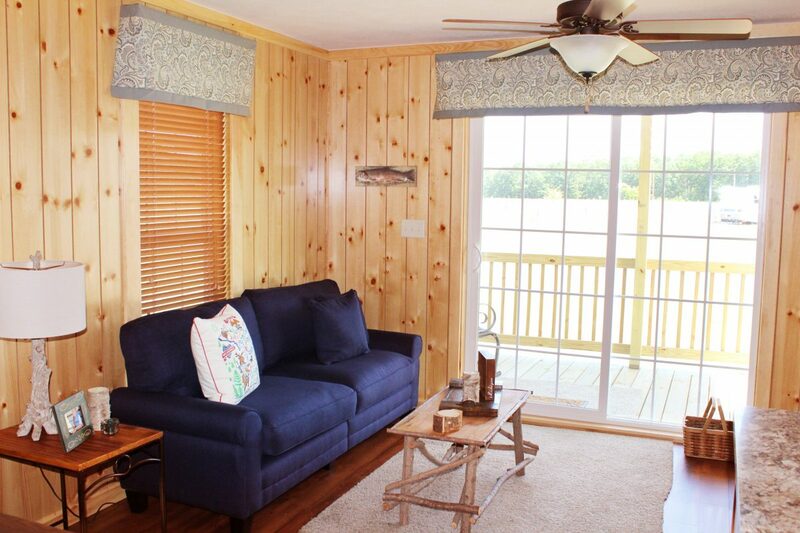 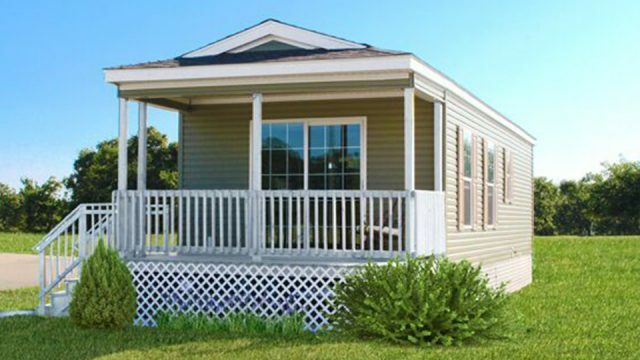 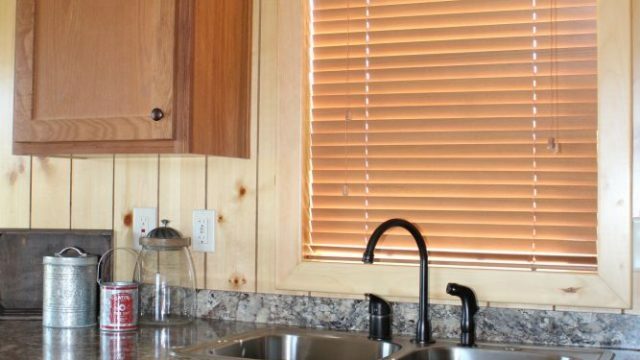 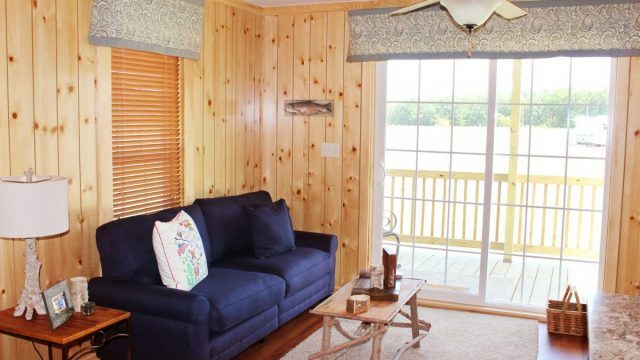 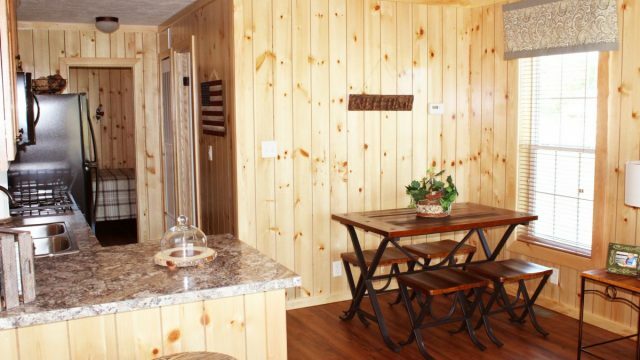 Whether you’re an empty nester looking to downsize or seeking a seasonal home-away-from home, the 450 square foot, 1-bedroom, 1-bath Cabin model is an ideal option. 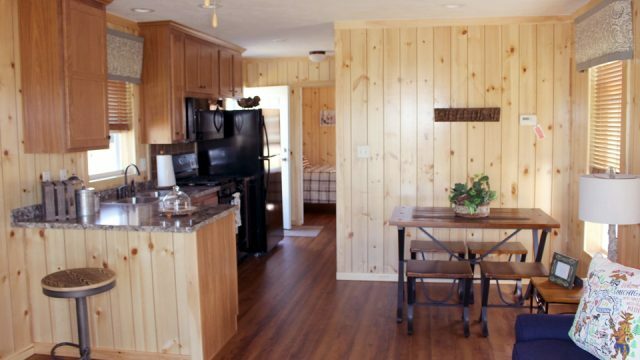 Aptly named due to the rustic natural wood walls found throughout this home, the Cabin packs a lot of living into a compact footprint, including its welcoming 6 foot covered front porch. 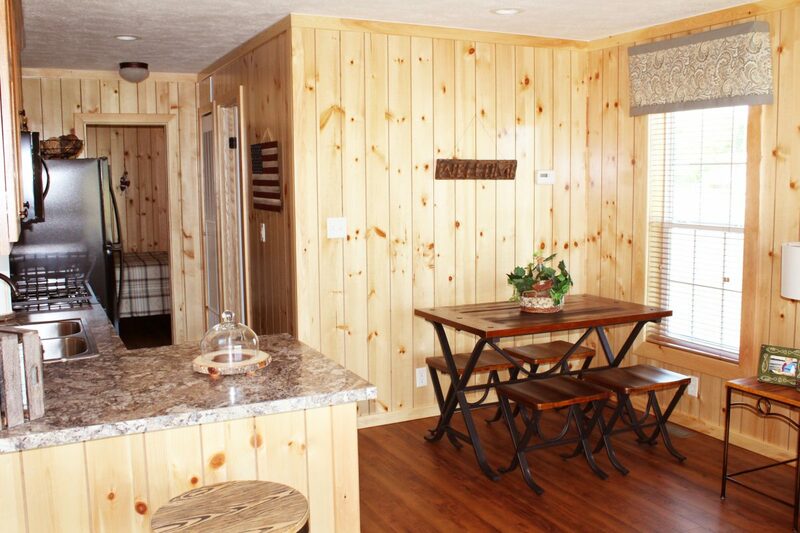 An open floor plan flows from a cozy living room to the dining room and kitchen. 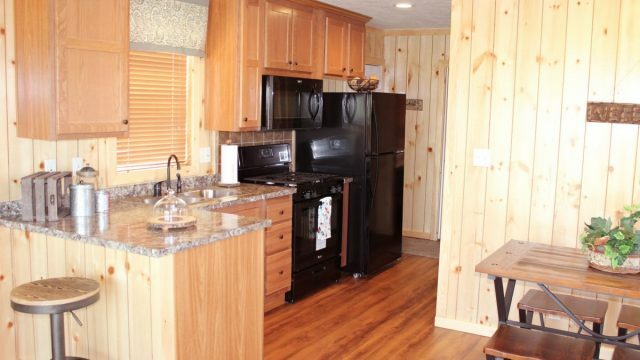 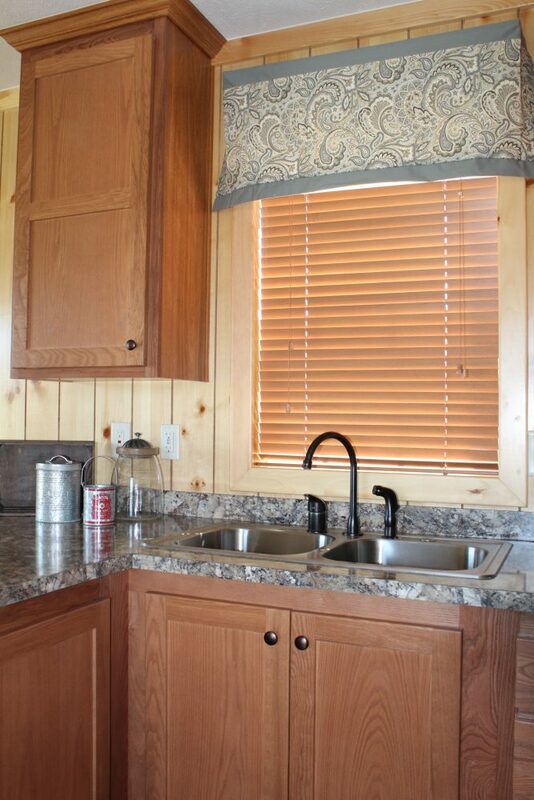 In the kitchen, you’ll find ample storage space as well as a full set of Whirlpool appliances. 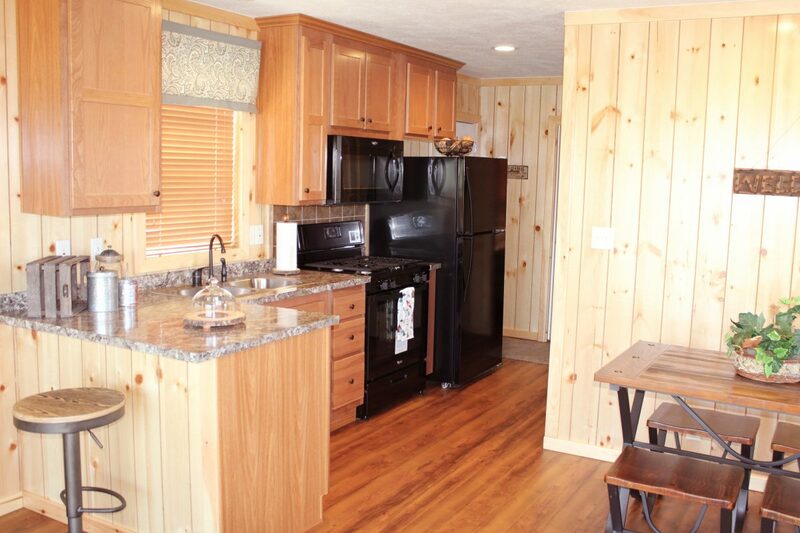 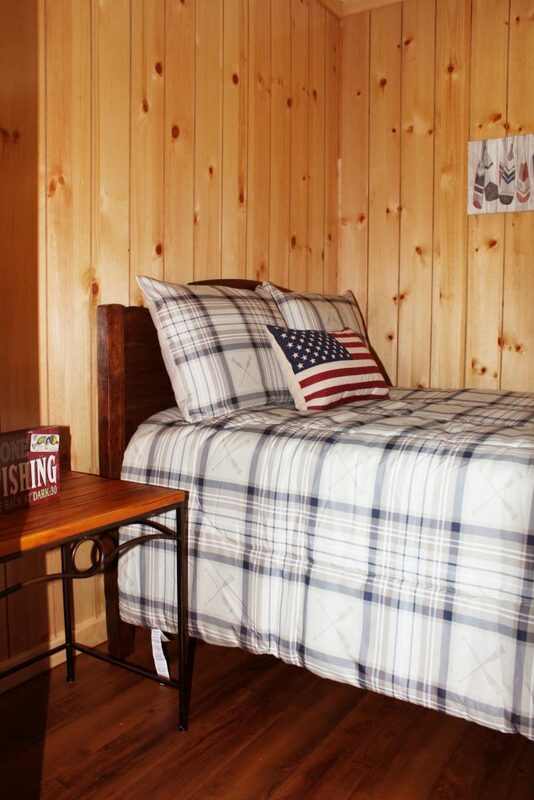 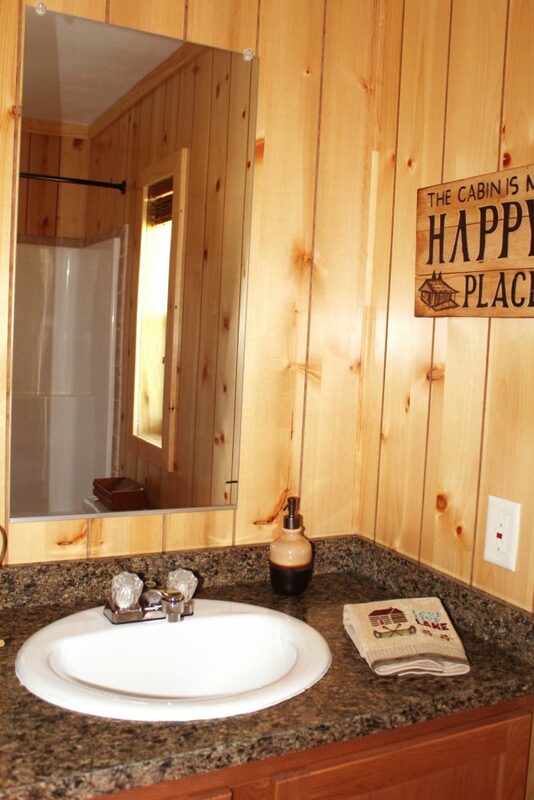 Just off the kitchen is a comfortable bedroom and full bath with linen closet storage.